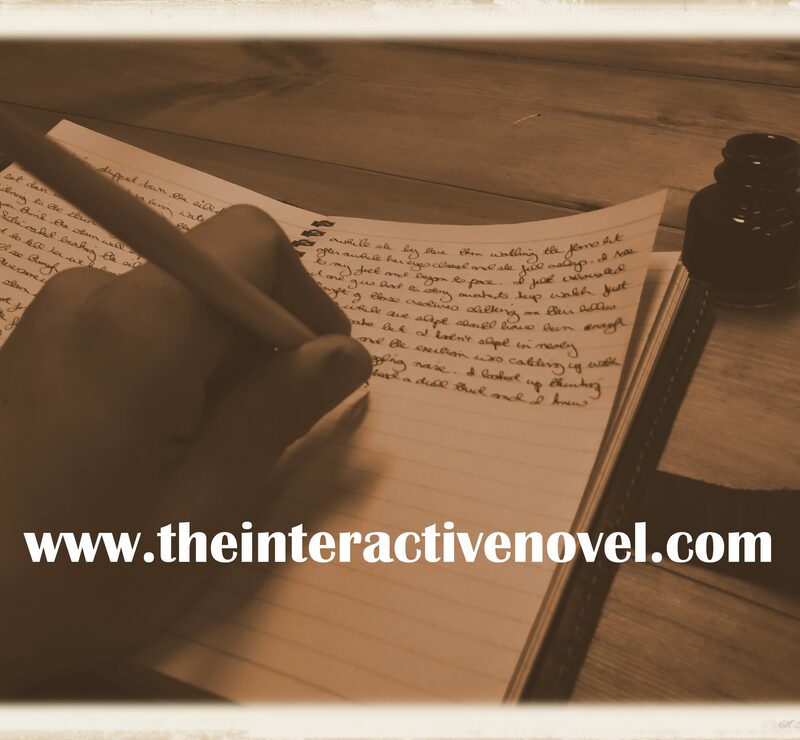 If you are new to the Interactive Novel or just want to freshen your memory on what has previously happened you can find the complete story so far here. Whatever option receives the most votes decides what happens. With heavy gables and small windows, Church House looked more like a prison than a domestic property. A blanket of ivy covered the front wall, its tendrils growing over the sills and eaves as is it smothered the building. Two brick chimneys rose from each side of the building like horns sprouting from the roof. A pair of jackdaws were perched on the left chimney throwing twigs down the stack. Waiting for us beside the front gate was a nervous looking man. He held his hat in his hands, wringing it as if trying to extract water from it, while he looked in every direction except at the house behind him. Our cab stopped beside him, and he smiled with relief as we climbed down to greet him. “Professor Ashcroft,” the man said offering his hand. “You must be Mr Roth,” the Professor said giving his hand a curt shake. The Professor paid the driver while I unloaded our luggage; my modest kit bag, the Professor case and his small trunk full of books. Then the driver snapped on the reigns and the cab trundled off leaving us in front of our house for the night. The Professor turned back to Mr Roth. The Professor marched off towards the house leaving me to struggle with the bags. I staggered along the garden path towards the front door. The gardens were just as dilapidated as the house. In the last days of summer, the once green growth of spring had turned into a brown jungle of weeds that grew over the path. The Professor stood before the heavy wooden door. He had his left hand resting on the flaked paint as if having second thoughts about entering. Entirely understandable as Church House was rumoured to be haunted. Nobody had lived in the house for years. It had been recently sold at auction and the new buyer was intending on demolishing the property and building a row of terrace houses in its place. But then his surveyor had experienced something terrifying within the property. The new buyer being a friend of the Professor had told him the tale. The Professor insisting there was no such thing as ghosts had agreed to a wager to spend the night in the property. Of course, that meant I would also be enduring a night in the haunted house. I drew closer and saw the Professor was not having second thoughts. He was struggling to turn the key in the rusty lock. Rattling the door, he turned the key and the door swung open to reveal the dark uninviting interior. There was something unpleasant in the stale damp air that wafted from within the house. It smelt of decay and something foul and rotten. I followed him into a house. The hall was devoid of all furnishings, having been stripped from the house long ago. Cobwebs hung from the ceiling and a film of dust and dirt covered the floorboards. Footprints from the men bringing our supplies disappeared into a door on the right and a rickety set of stairs were against the left wall. I shuddered. The house felt cold. The air was heavy almost oppressive. I felt as if I was intruding, as if I was trespassing. The Professor disappeared into the room on our right, leaving me alone in the hall. I hurried after him having no intention of letting him out of my sight. The last of the afternoon sunlight shorn through the large bay window at the front of the room. The ivy had been cleared from the window leaving brown streaks and small stems on the thin glass. The large room was dominated by a granite fireplace. The hearth was a colossal monolith that looked as if had been dragged from some Neolithic stone circle. Accompanying a clock, vases of dried lavender had been put on the mantel piece in a feeble attempt to soften the damp stale smell. There also had been a hasty attempt to clean the room. The cobwebs had been brushed aside and the dust swept up, but this did little to brighten the flaking grubby white paint or the huge damp patch on the interior wall. In the centre of the room a stained green rug had been laid out beneath two loungers. They had even hung an old pair of faded mustard yellow curtains in front of the bay window. Against the wall furthest from the window was a small table and two chairs. Mr Roth had left some kindling already stacked in the fireplace. It was only a question of lighting the fire and then once it had taken hold adding a couple of the logs he had stacked beside the hearth. He had also filled the coal scuttle and provide a kettle to hang out over the flames. Leaving the fire to warm the room I lit the candles and lanterns. Now bathed in light the room felt more comforting. I still had a feeling of unease, but it had been buried beneath the warmth of the fire. The Professor had a book out and having settled into one of the loungers had made himself at home. Following his example, I sat at the table to read and write notes on the work of the philosopher Thomas Hobbs. Even though I found the subject dull it managed to drag me away from the house and the hour’s ticked by without incident. At approximately seven thirty there was a knock at the front door. “That will be our supper,” the Professor said glancing up at the clock on the mantle. He lowered his head back to his book making it clear he expected me to collect it. Through the bay window the sky was darkening, and it would not be long before night had settled. In the grey twilight the hall would be dark. I picked up a lantern and headed out into the hall. Stepping out of the warm front room was like plunging into a river. The cold oppressive atmosphere felt like a physical barrier reminding me of the house’s reputation. I left the door open behind me, leaving a warm welcoming refuge to flee back to. Then keeping my eyes fixed on the front door, not daring to look anywhere else in case I saw something I wished I hadn’t, I rushed across the hall. A pale boy, a year or so younger than myself, stood by the front gate with a wicker basket in his hand. He had knocked and frightened of what might open the door retreated to the edge of the property. He didn’t relax upon seeing me. Standing with my back in the hall and fearing what could be lurking behind me I was in no mood to argue. I just wanted to grab the basket and get back to the front room. I hurried up the path towards him. Not in the mood for conversation. I muttered a curt thankyou and took the basket from him. I then made my way back along the path towards the dark opening. The entrance was like a mouth threatening to swallow me. You’re just being silly, I told myself. There is nothing in that house but a few rats and your imagination. With my lantern thrust out in front of me I walked into the hall. A figure rose out of the shadows in front of me. My heart leapt into my throat. I nearly dropped the basket, the lantern and ran from the house, but the light illuminated a familiar face. “Relax, Nigel. There is no need to be so jumpy,” the Professor said. “I wasn’t expecting to see you there,” I gasped. I followed him back into the front room. My heart was still pounding. If it had been anybody else, I would have thought they had been deliberately hiding in the dark to frighten me. I placed the basket down on the table and moved my books. The Professor rummaged through the basket and took out a bottle of whisky. “This will make the perfect nightcap,” he said unscrewing the lid and taking a sniff. He put the whisky to one side and pulled out a large pie and a pot full of boiled carrots, swede and potatoes. He took two plates from the basket and then sat down leaving me to dish the food out. We ate our meal in silence. I didn’t want to invite conversation. The Professor would have no qualms in telling me tales of the spirits the foolish locals believed haunted this house. He was convinced they didn’t exist and had nothing to fear. I on the other hand didn’t want to feed my imagination. A flicker of movement outside the bay window caught my eye. Whatever it was it had been too big to be a bird or a bat. I spun round. There was nothing there. Just the darkness of the night. “Is there something the matter?” the Professor asked his folk pausing before his mouth. I returned to the game pie with a diminished appetite. I prodded an overcooked carrot with my fork. Something flickered past the window again. I kept prodding at the carrot pretending I had not noticed. I spotted it again out of the corner of my eye. It was the briefest flicker of movement as if someone or something was rushing past the window. I looked up. The Professor had his plate thrust out towards me. He certainly didn’t have any problems eating and with his back to the window had not noticed the flickering movement outside. I dished out another helping of pie and passed it back to him. The movement flickered past the window again. “May I be excused to close the curtains?” I asked. He would only ridicule me and insist that I keep the curtains open if I told the truth. Looking at my feet I crossed the room. Without looking up I grabbed the curtains and snatched them shut. I instantly felt reassured. I no longer had to worry what was lurking outside. The warmth of the fire and the glow of the candles had turned the front room in to a sanctuary. I felt confident that as long as I remained in this room I was safe. The ghost or whatever malicious presence haunted this house would not enter and as far as I was concerned it could do whatever it wanted in the rest of the house. I returned to the table. My appetite had not returned and I passed on the fruit cake that the Professor greedily ate. “Would you like me to pour you a whisky, sir?” I asked. I poured a short measure of whisky, then double the amount of water, and passed it to him. Finishing his slice of cake, he returned to his chair by the fire leaving me to clean away our supper. I tidied away the plates while I waited for the kettle to boil. Once the ketal had boiled I made two cups of tea before returning to my books. Until eleven I worked away only stopping to add more fuel to the fire. I was just thinking about make another cup of tea when something creaked from the floor above. The Professor returned to his book and was ignoring the creaks. He had formed his explanation and had no intention of questioning the noise further. I on the other hand glanced nervously upward with every creak. It sounded as if somebody was walking about above our heads. The creaks ceased as suddenly as they had begun. The house returned to its eerie stillness. All was quiet apart from the cracking of logs on the fire and the ticking of the clock. I made a pot of tea and poured the Professor and myself a cup before returning to my books. I did another half an hour of working at the table and then finding the chair uncomfortable decided to move to the lounger. I settled in the chair beside the Professor with the new Dickens serial Great Expectations. There were several thuds out in the hallway. It sounded like somebody was running up the stairs. “Rats,” the Professor said without looking up. I didn’t care what he said. The floorboards creaking above us had nothing to do with the heat from our fire, and whatever had just run up the stairs was not a rat. There was defiantly something else in this house and it seemed determined to not to let us forget it was there. I glanced at the clock on the mantle. It had only just gone midnight. We had at least another six hours until dawn. The house remained silent until nearly one. Then there was more running on the stairs followed by what sounded like a door slamming shut. I looked at the Professor. “You want me to go out there? On my own?” I asked mortified at the suggestion. The Professor sighed with frustration. Reluctantly I climbed to my feet wishing I had kept my mouth shut. Back in the hallway the oppressive atmosphere felt like a physical weight pressing down upon us. I shivered in the cool air. The stairs creaked and groaned as we climbed them. I kept a step behind the Professor not wanting to step out of the light cast by the lantern in his hand. The stairs opened on to a long thin corridor. To our left was a gaping hole in the floorboards blocking access to the rooms at the far end of the house. “Best not go that way,” the Professor said. He went into the room above where we were staying. Not wanting to be alone I hurried after him. The room was empty. Like the rest of the house all the furnishings had been long stripped from the room. Broken glass lay in front of the window and the blanket of ivy had curled up into the room, creeping along the walls in stunted vines ending in brown dead leaves. A door slammed in the corridor. The Professor frowned and waved for me to follow him. We went out into the corridor and the Professor reached for the door to the room opposite us. I tensed ready for what was lurking on the other side. The Professor swung open the door. At that moment I would have agreed to anything if it meant getting back into the front room. The Professor led the way back to the stairs. As I reached the stairs I glanced back at the room we had just left. The door was rattling in its frame. I let out a sharp gasp. “Now what is it?” the Professor said stopping halfway down the stairs. “Nothing, sir,” I said hurrying after him before something emerged from the room. We returned to the front room. The Professor sat back down and resumed reading his book. Rattled I picked up my book. I tried to ignore the occasional thud on the stairs, the creaking of the floorboards, and the banging of doors. But I couldn’t relax. I sat in my chair rigid and tense. Then shortly before two the house fell silent again. I hoped that was the end of it, that the ghost had admitted failure in its attempts to frighten us and would leave us in peace for the rest of the night. I had been staring at the same page for ten minutes with blurry eyes when the Professor rose to his feet. He gulped down the rest of his whisky, put the empty glass on the table, and then picked up the lantern. My bladder felt on the verge of bursting. I was ignoring the discomfort. To empty it meant leaving the room and I would rather wet myself than confront whatever was lurking in the rest of the house. “You’re leaving the room,” I said. With that he disappeared out the door. Seconds later I heard the front door close and I was alone in the house. I swallowed nervously. I just had to stay calm. There was nothing to be frightened of. Besides the house was silent. Eerily silent. The front door closed again, followed by the light pad of footsteps across the hall. I tensed as the door slowly opened into the room. To my relief in walked the Professor. He had returned quicker than I had expected, but without the lantern. “I dropped the blasted thing and broke it,” he muttered. He poured himself a generous measure of whisky and then returned to his seat. I noticed he had not added water to the glass. Had he witnessed something that had frightened him and wanted a strong drink to settle his nerves? Except the rest of his demeanour was calm and composed. He certainly didn’t look like a man that had just seen a ghost. I shivered. I had goose bumps on my arm. The Professor must have left the door open long enough for a draft to chill the room. It would also explain the rotting damp smell that overpowered the smoke from the candles and fire. The front door rattled. At first it was a gentle shake, but then it grew more and more violent until it sounded like something was trying to break it open. “The wind?” I cynically suggested. I forced myself to laugh at his poor attempt at humour. The Professor stared at me stony faced as if he hadn’t meant it to be a joke. I cut my fake laugh short. His comment had to have been made in mirth. He certainly did not believe that there was anybody trying to force their way into the property. The door rattling in its frame stopped and the house fell silent. The Professor craned his head towards the front door as if expecting something. The Professor nodded to himself then turned to stare at the flames as the door thudded again. It sounded as if somebody or something was trying to force it open. “It’s nothing you need to concern yourself with,” the Professor said as the door thudded again. I shrank back. I had never seen the Professor in this frame of mind. Perhaps being confronted with the possibility that there was a ghost had made him confrontational. Not wanting to become the outlet to vent his anger and frustration upon I fell silent. The door continued to thud several more times and then it fell silent as if whoever was trying to break in had given up. “Why are you here?” the Professor suddenly asked. “Sorry, sir?” I said wondering if I had misheard him. There was a tap at the window. The curtains glowed as if there was a light behind them. There was a rapid tapping at the window. I turned to the Professor. He could not deny the tapping and the glow of the curtains. I caught sight of his palm and fell silent. There was a gaping hole where the shard of glass had slashed through the skin. But the wound was dry. There was no blood, just torn flesh as if the glass had cut the palm of a rag doll. I stepped away from the man in the chair and then I heard a voice from the window. The voice was muffled but there was no mistaking that of belonging to the Professor. I spun back to the man in the chair. Except what was in the chair was not a living man and it looked nothing like the Professor. The spectre had the appearance of a man in his sixties, with thinning hair and a shadow of stubble. Its dark eyes were overshadowed by the bags around them. Its sallow skin was pulled tight and taunt over its skull. It radiated an intimidating aura of hate as if it despised me for living. “This is my house and you are not invited,” the spectre said rising to its feet. I backed away to the window as the spectre floated towards me. There was a smash of glass and the spectre vanished. The curtains were flung open and an annoyed looking Professor clambered in through the broken window. “I was err…” My mind was numb. I couldn’t think of any reason apart from the truth which the Professor would not believe. It was then that I became aware of the dampness in my trousers. At that moment I wanted the spectre to return, or perhaps even the devil itself, anything but deal with the shame of sitting slumped against the wall in a puddle of urine. Mortified I retreated into a corner of the room to change out of my wet clothes. My fear had been replaced with embarrassment, although I should have been happy. Losing my dignity was better than losing my life even if it didn’t feel that way. The Professor pulled the curtains closed. They flapped in the wind from the open window and a cool draft chilled the room. The Professor sat in his seat uncomfortably. He looked at me suspiciously, but he didn’t question me any further. Picking up his book he moved over to my chair. I sat down in the chair damp with whisky. My hands were trembling. My embarrassment was waning as the fear returned. All my instincts demanded I ran from the house, but somehow, I managed to pick up my book and pretend nothing had happened. Until dawn I remained in a tense state of alertness. I was constantly aware of the spectre making its presence known in the rest of the house. Doors would bang, floorboards would groan and there would be feet on the stairs. At first the Professor dismissed the noises as the wind and rats. Then he fell asleep and was completely oblivious to the spectre’s rage. While he slept I gripped the arms of my chair tightly bracing myself for the door to open and for the spectre to return. It didn’t and as the dawn light began to filter into the room the house fell silent. The Professor awoke a little after seven. Yawning and stretching the stiffness from his limbs he rose from his chair. He glanced around the room and then smiled satisfied with himself. On our return journey to London the Professor was in a jubilant mood. He leant back in his seat smiling happily. He had won the wager and even better had not experienced any evidence that the house was haunted. I stared gloomily out of the window. I had not slept all night, been terrified by a ghost, and endured the humiliation of wetting myself. Not for the first time I was questioning why I remained the Professor’s assistant. In the eight months since I had started my position I had been stalked by a wraith, attacked by a lake monster, chased by a horde of the dead, hunted by a pack of werewolves and now been terrorised by a ghost. It was amazing I wasn’t a traumatised wreck locked in an asylum. Watching the streets of London pass by I contemplated whether it was time to resign. I suspected I wasn’t cut out for risking my life and living in a state of fear investigating the supernatural. Perhaps it was time to find a safer career like training to be an accountant. It would be less glamorous, certainly a lot more tedious, but at least I wasn’t going to end up being killed by some paranormal entity. On reaching the Professor’s house, I was excused for the rest of the day. I headed up to my room on the top floor. On the verge of collapsing with exhaustion I took out a pen and paper. I had to do it now. If I waited until later, I would lose all my resolve. I sat on the edge of the bed and wrote my letter of resignation. I woke up with my letter stuck to the side of my face. I pulled the sheet of paper from my skin. The ink had smeared and left smudged marks all over the page. There was knock at my bedroom door. Before I could call out the door opened, and Gertie stepped inside. I looked down at my creased clothes and nodded. I closed the door and quickly changed into clean clothes and wiped a dry cloth over my face. Hopefully that had removed the worse of the ink or at the very least it meant that I now looked presentable. I looked down at my smudged resignation letter. Once I had seen what the Professor wanted I would rewrite it and hand it in. Out of courtesy I tapped my knuckles against the study door before opening it. As usual the warmth of the room hit me. It was no surprise that on a damp cold evening the Professor’s study was the warmest room in the house. Unless the Professor was in his laboratory he resided in his study. On days sat reading and writing he demanded that the fire was kept blazing. The walls lined with bookcases full of texts, in four different languages all bound in the same brown leather, acted as insulation turning the room into a furnace. The Professor sat at his desk, his book and pen in front of him forgotten about. He was warily watching the teenage girl in the chair beside the fire. Mrs Cooper, the housekeeper, was busy fussing over the girl. Despite the heat the girl was shivering. She had been wrapped in a green blanket. Her long lank hair dangled in dark wet strands down over her shoulders. The elongation of her face was more pronounced by her prominent cheekbones. My eyes were drawn to her feet. She wore no shoes. Her filthy feet were covered in mud and dried blood. Whoever she was and wherever she had come from, she had walked here barefoot. The girl’s gaze flickered over to me. There was a strength in her glare that contrasted with her frail appearance. She tried to rise to her feet, but Mrs Cooper pushed her back into the chair. “Please, I need to…” the girl said in a weak voice. “Mrs Cooper could you possibly take the girl downstairs to the front room or perhaps the kitchen,” the Professor suggested. The Professor looked as if he was about to argue. Mrs Cooper glared at him and he fell silent. At that moment their roles were reversed and the Professor unsure what to make of their change in fortunes just sat at his desk watching the girl as if she was the source of his misfortune. Mrs Cooper returned to fussing over the girl seemingly oblivious to the uncomfortable atmosphere. I found Gertie in the kitchen heating a saucepan of beef broth on the stove. “Who is the girl and where is she from?” I asked. “I didn’t know about her at that point. All I had been told was to tell you to report to the study. Can you cut some bread?” she said ladling the brown broth into a bowl. “Where is Pilcher?” I asked wondering where the footman was lurking. Carrying the towels, I followed Gertie back upstairs to the Professor’s study. As we entered Mrs Cooper rushed over to us. Rolling her eyes Gertie crouched down to clean and bandage the girl’s feet in the towels. I stood by the Professor’s desk feeling like a spare part. Reaching a similar conclusion, the Professor rose to his feet. “Don’t go Arthur,” the girl said. Frowning the Professor glanced at me. I shook my head. I had never seen her before in my life. The Professor paused by the door. He stared at the girl. He clearly did not know what to make of her. He looked at her warily as if she was a dangerous creature that might strike if he got too close. He glanced at me. I shook my head. “I think we have better listen to her, sir,” I interrupted before she revealed my accident to Gertie and Mrs Cooper. The Professor kept a few bottles of spirit and some glasses in a chest of draws beside the door. I rummaged through the bottles of gin, whisky and rum until I found the brandy. I poured a stiff measure and carried it over to the girl. “No, Nigel, that is for me,” the Professor said. “Sorry sir.” I passed him the drink. Scowling the Professor looked at us. I smiled meekly, and Gertie shrugged her shoulders. “Sir, we must let the girl rest and get her strength back,” protested Mrs Cooper. Anne Farmer rose from the chair. The blanket wrapped around her dropped to her feet. All she wore was a thin black dress. Her exposed arms and legs were covered in bruises. Anne stiffened. Her eyes darted from side to side. I was reminded of a dog hearing something inaudible to human ears. “Who is here?” the Professor asked. On que there was a heavy knocking on the door. I followed the Professor over to the window. He pulled back the curtains, so we could look down on to the quiet road. A horse and carriage were parked in front of the house. The door knocker thudded impatiently against the door. I hurried down the stairs and pulled open the door. A man with a protruding overbite looked down on me. His large front teeth give his face a rodent like quality He wore a pair of thick frame glasses on his long nose. In normal circumstances he would have looked of average build, but he was flanked by two burly men in navy uniforms that made him look scrawny in comparison. “How, may I help you?” I asked watching the hulking men looming behind him. Just their presence was intimidating. “Is this Nigel Brigg’s house?” the rat like man asked. I hesitated. I looked at the two burly men and was struck by the impulse to lie to them, to tell them they were mistaken, and that there was no girl here. I bite my lip still in two minds whether to let them in. The decision was taken out of my hands. The Professor stood at the top of the stairs. He had followed me out of his study and hidden from view had been listening to everything that was said. Dutifully I stepped aside. The two burly men filled the corridor. One of them carried a stained kitbag. “Now Doctor Downer what is your interest in the girl?” Professor Ashcroft said descending the stairs. The reference was lost to me, but fortunately not the Professor. He spotted my puzzled expression. “Which of course like Cassandra we do not believe,” Doctor Downer said with a smile. Feeling uneasy I followed the three men up the stairs and into the study. Seeing Anne, Doctor Downer smiled. “There you are. We have been so worried about you,” he said. There was no sincerity in his voice, if anything there was a sinister undertone. Instinctively Mrs Cooper stepped in front of Anne Farmer. She also sensed something wasn’t right. They reluctantly stepped aside. The guard reached inside his kit bag and removed a straitjacket. Anne held her head held high almost defiantly as the guards approached her. She looked delicate enough to snap in two between them. Each guards’ arms were thick as her thighs. “I don’t think the straitjacket is necessary,” Mrs Cooper said looking at the Professor for support. Anne did not fight or struggle as the guards pulled the jacket over arms. Compliantly she allowed them to buckle the straps tight pulling her arms against her chest. The guard reached into his kit bag and pulled out a leather gag. He lifted it over her head. Anne caught my eye. She did not let her gaze drop as the gag was forced over her mouth. “Right gentlemen let’s get her back to the asylum,” Doctor Downer said. The two guards led Anne down the stairs. I followed Doctor Downer to the front door. I looked past him at the carriage. One of the guards had climbed into the driver’s seat and taken the reins. The other guard was pushing Anne into the back of the carriage. “One question Doctor,” I called out as he reached the bottom of the steps. He smiled at me displaying his large rodent like teeth. “She had carved your names and address into the walls of her room.” He gave a curt bow and climbed into the back of the carriage. Then with a snap of a whip the carriage pulled forward and disappeared into the night. As part of my normal daily routine I was up with the dawn. After wrapping up against the damp autumn morning I set off for the morning papers. A thick smog had settled in the night, a regular occurrence on a London morning. Water beaded on the black iron fencing in front of the houses and dripped from the lampposts. The odd carriage I passed was a black shadow that clacketed by. The few people out on the street were ghostly shadows that emerged briefly from the smog before vanishing into the gloom. During the summer I had enjoyed my morning walk to fetch the papers. It was part of the day when I had the time to let my mind wander. Now autumn was upon us and with winter weather on the way I doubted my morning duty would continue to hold the same allure. My mind was distracted from its usual day dreams, of proving the Professor wrong about the existence of the supernatural, by the previous night’s incident. The mysterious Anne Farmer was playing on my mind. Her arrival at Professor Ashcroft’s house raised more questions than had been answered by Doctor Downer and his guards. My mind kept returning to the same conundrum. How did a patient locked away in an asylum a hundred miles away know my name and address? After collecting the papers and a fresh loaf of bread I returned to the house. I usually left the papers on the Professor’s desk for him to read where he rose. Professor Ashcroft was partially nocturnal. Most nights he spent out at the Noscere Society discussing the big ideas and gambling late into the night. He rarely rose before midday, but to my surprise I found him sitting at his desk eating a breakfast of boiled eggs, bread and bacon. “Ahh good morning Nigel,” he said dipping a buttered bread solider into his egg. “I haven’t checked the headlines, sir,” I said passing him the papers. The Professor placed the papers down on his desk beside his breakfast tray. He spread the broadsheet out and dipping his partially eaten solider back into the egg scanned the front page. I frowned. I doubted that somehow. By all accounts such asylums were ghastly places. He lowered his head back to his paper. I looked at him with incredulity. Didn’t the fact that she had our names and address carved into the walls of her room arouse any form of curiosity? Yet again the Professor bewildered me. This was a genuine mystery, yet he showed not the slightest trace of curiosity. He had closed the matter with dismissing me. I headed for the door. I ate a bowl of porridge on my own in the kitchen, Gertie and Mrs Cooper were busy dusting the front room, then went upstairs to my attic room to get dressed. After washing my face in a bowl of cold water I dressed in my best suit. As I buttoned my shirt I looked down at the smeared letter of resignation on the floor. I should be rewriting it rather than adjusting my collar. Professor Ashcroft’s reluctance to even consider our visitor from yesterday should have been the final straw to stiffen my resolve, yet I found myself dressing up to go out with him on some secretive errand. Within the hour I had a hansom cab waiting outside and the Professor running up the fare as he dawdled about getting ready. The cab had been waiting for ten minutes by the time he finally emerged. I followed him up into the cab. “What is on Dower Street?” I asked as the cab turned the corner on to Piccadilly.